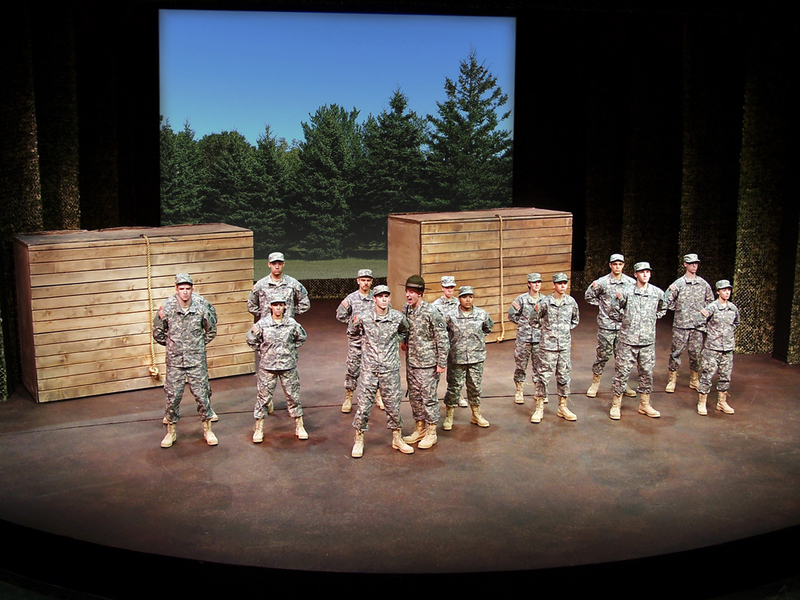 Soldiers Circle is a powerful contemporary drama that follows a company of soldiers from enlistment into combat as they evolve from a group of strangers into a band of brothers and sisters. 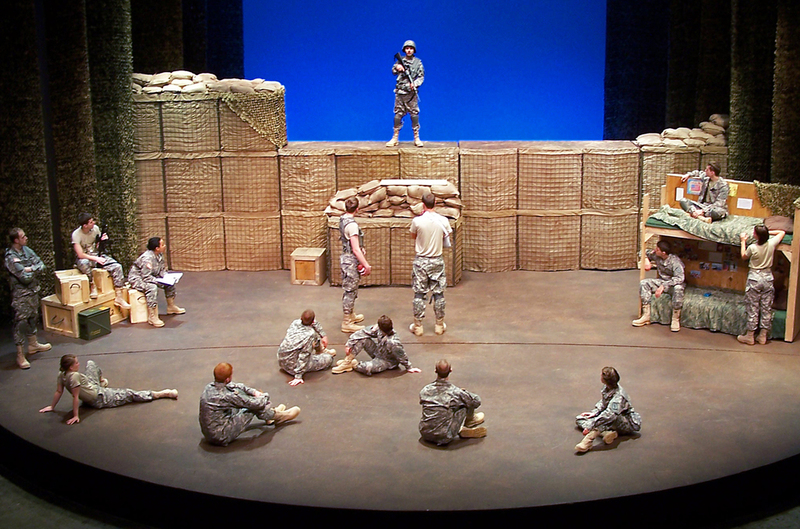 It is based on memoirs of soldiers at war in Iraq and Afghanistan. 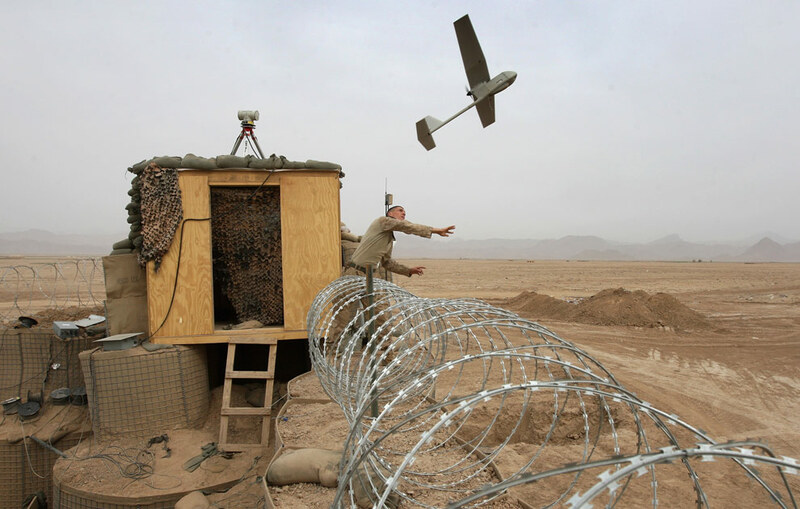 A large portion of the show took place on a Forward Operating Base in southern Afghanistan. To create the expansive linear outer walls of the compound, Hesco barriers (modular containers filled with dirt) extended into the wings in each direction. 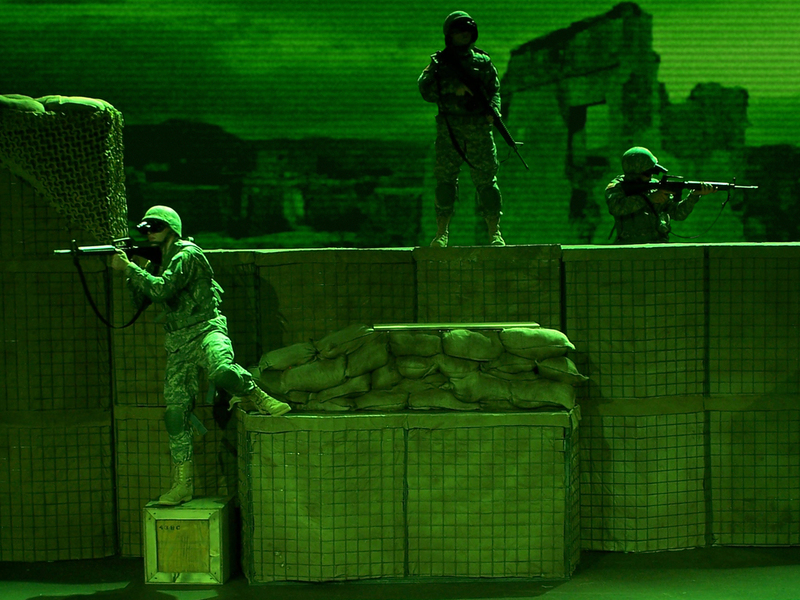 This emphasized the stark, horizontal, and cage-like characteristics of the barricade while providing a transformable playing space for the numerous Afghanistan locales. Since this production was presented in more than one venue, the design was created with touring in mind. Scenic pieces served multiple functions, such as parts of the Hesco barrier doubling as the wooden climbing walls in the Basic Training obstacle course. All units were designed to fold & collapse in order to fit into a small touring truck. Projected images and videos played a major role throughout the story, beginning with a 3-minute prologue film that I created from footage of 9/11 news reports tied together with Army Strong advertisements. This video immediately established the time, place, and style of the show, along with transporting the audience directly into the recruiting center. Projections included both found and created media. Content was edited in Adobe AfterEffects, PremierePro, and Photoshop, and programming was done in Isadora which allowed me to fluidly make changes throughout rehearsals as needed.